We envision a growing multicultural community of disciples making disciples, where immigrants and others are thriving and using our gifts together to transform our neighborhood and the world for the glory of Jesus Christ. We're pleased to introduce you to our new website! 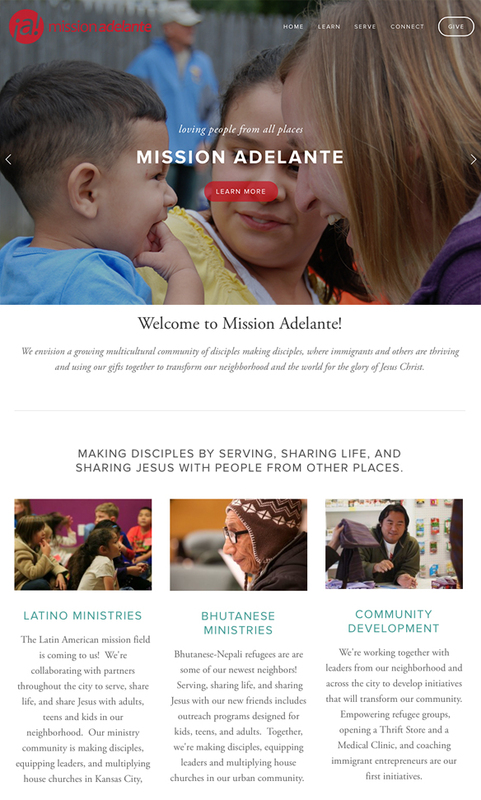 It has been designed to reflect the ways Mission Adelante has matured and developed over the years and it looks toward the future we believe God is calling us to embrace. In our first nine years, we've learned a lot about "loving people from all places". Our mission remains focused on making disciples by serving, sharing life and sharing Jesus with people from other places, but we've grown in the scope and reach of our ministry. We're excited to have a new tool that will more effectively communicate who we are and what we're dreaming with our community! We invite you to take a few minutes and learn more. Copyright © 2014 Mission Adelante, All rights reserved. You are receiving this email because you have shown interest in hearing more about Mission Adelante and have chosen to receive email updates. Newer PostSummertime: New Friends and a Ton of FUN!